​The checklist below covers the clothing and equipment that’s good to have on an overnight tramp, as well as food plan ideas. Having the right gear is a key factor in feeling comfortable and enjoying yourself. And the right gear can save your life, or another person’s life. ​Whenever cadets go on a camp, course or day's activity it is strongly advised that they always bring water, sunscreen, a wide-brim sun hat, a weather-proof jacket. Please note that these lists are only recommended. ​​If you are unsure what to wear, ask. No pack is waterproof, and certainly not after you have dunked it in a river. That’s why you need a good pack liner and bags around things inside the pack liner. If tramping at night, can be useful to have sleeping bag at the top. Make sure your pack is adjusted properly so it is secure on you – so it doesn't slide around as you tramp. This is important for balance and comfort. Food has to be light, sturdy (or protected), long life, compact, quick and easy to prepare, nourishing, filling – and tasty. All food and ingredients, utensils, plate, mug, billies etc need to be carried. Meals usually take longer to cook when you are tramping. Try and bring things that need short cooking and preparation times and are quite simple. If you can cook everything in one billy that is best – remember you will probably only have one stove. The shorter the cooking, the less fuel you need to carry. Overnight trips – you can make and freeze a casserole dish – it will slowly defrost as you tramp during the day, ready to heat up in the evening! Ice cream containers are good to take a frozen meal, wrapped in a bit of newspaper and a bag. If you are buying packets of things check quantities carefully. For example – pasta meals might say four servings – but that is half a cup each – not much when you’re tramping. Rule of thumb – if it says “serves two” when tramping it only “serves one”. Also check what ingredients you will need – most packet meals require more than just water to be added although some you can do without. Individuals are responsible for their own breakfast, lunch, and snacks. Need something filling – to last you all morning, quick and easy so that you can get away. Spreads such as cheese, hummus, salami, peanut butter, vegemite, canned fish etc - something tasty & filling – protein & some fat. fruit/vegetables (eg cherry tomato; carrot or celery travel well cut up). Mandarins, apples – depending on length of trip, overall pack weight. Scroggin (trail mix), nuts, dried fruit, muesli bars, energy bars, chocolate, sweets – expect to stop once or twice each morning and afternoon. Drinks – breakfast, when you arrive at hut/campsite, evening, sometimes at lunch: bring what you enjoy; instant soup is very good for arrival at end of day. 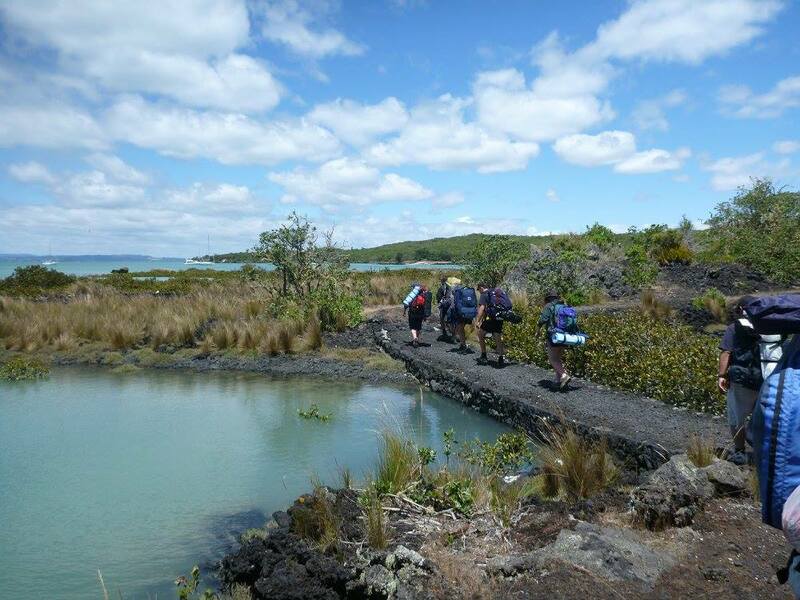 A lot of the information on this page has been compiled from the Tararua Tramping Club website.